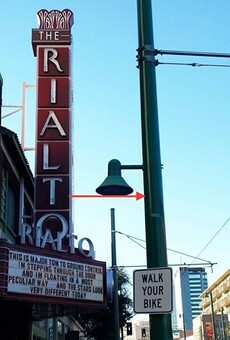 Operating since 1920, the Rialto Theatre is currently a nonprofit performance space that epitomizes the forward-thinking spirit of the downtown arts community. The Rialto draws diverse national and international acts—spanning every genre imaginable—such as the Avett Brothers, Grupo Fantasma, Sonic Youth, the Sierra Leone Refugee All-Stars, Mastodon and Nas, just to name a few. The success of the theater is due in large part to the tenacity and astute business sense of general manager Curtis McCrary (also a longtime Tucson Weekly contributor). Tucson cannot afford to lose this cultural gem.